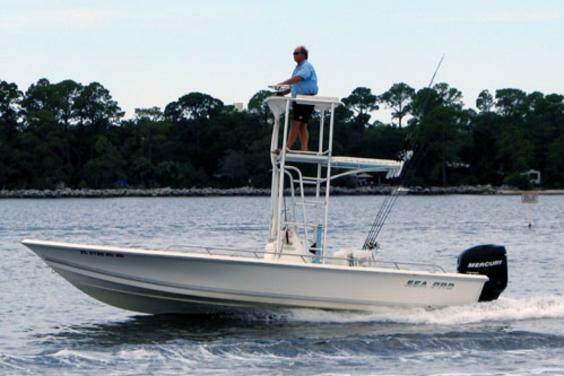 Reel Fun Charters operates a saltwater sportfishing charter boat service located in Panama City Beach, Florida. Captain Terry McGowen and other Coast Guard certified captains take you to some of the most exciting fishing experiences on the beautiful waters of the Gulf of Mexico. Come to the Panhandle of Florida and spend a half day or all day enjoying the thrill of catching trout, redfish, bonito, bluefish, shark, dolphin, King/Spanish mackerel. Fish just for sport or take them home to eat! Book a charter today to experience the thrill of saltwater sportfishing along the "Most Beautiful Beaches in the World!" 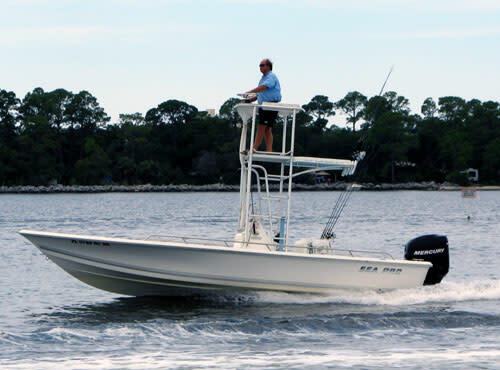 24' Pathfinder Accommodates Up to 4 Fishermen. We specialize in catching trout, redfish, bonito, bluefish, shark, dolphin, and King/Spanish mackerel. Tell us what we can do for you. We require 4 hours minimum and we can fish up to 12 hours.